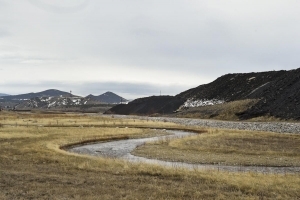 The state of Montana proposes spending nearly $5.5 million on water infrastructure, wetlands rehabilitation and recreation trails and creek access on former ASARCO lands in East Helena. The Montana Department of Justice Natural Resource Damage Program is taking public comment on alternatives for spending the funds received following ASARCO’s bankruptcy about a decade ago. In 2006, the state filed environmental claims against the company due to damages from the former lead smelter. In 2009, as part of reorganization under bankruptcy, the state was paid $5.9 million in addition to an option to acquire 232 acres of ASARCO land at no cost. The $5.9 million the state received is separate from the roughly $115 million ASARCO paid to clean up lands around East Helena. Those funds are managed by the Montana Environmental Trust Group with the state and federal government via the Environmental Protection Agency as the beneficiaries. In recent years, funding has gone to removal and replacement of contaminated soils along Prickly Pear Creek as well as other contaminated sites and dropping of ground water levels to isolate contaminates. Last year, EPA proposed capping the East Helena slag pile as part of its final plan for cleanup, although that plan and what type of cap to be used has not been finalized. The final report, called a “corrective measures study,” is expected in the coming months. Wednesday marked the first day of the new school year in East Helena’s new Prickly Pear Elementary School. Wednesday marked, not only the first day of the new school year, but the first day in East Helena’s newest school Prickly Pear Elementary School. The school was built with a $12 million bond passed by East Helena voters in 2017 to address crowding at Eastgate and Radley. The district also is in the process of building a $29.5 million high school. Prickly Pear, houses first and second graders starting and was built with growth in mind. Jill Miller, who is principal at Eastgate and Prickly Pear, said the school hopefully will be able to keep up with expansion of East Helena for 15 to 20 years. Read entire article and view photos here. EAST HELENA – Voters in the East Helena school district have overwhelmingly approved the purchase of a land for a new high school. East Helena Superintendent Ron Whitmoyer says the vote passes with 1,730 votes for and 395 votes against. The school district sent out around 5,000 ballots total. The property covers 35 acres at Dartman Field, just off Valley Drive, north of the Lewis and Clark Search and Rescue building. The land will be purchased from the Montana Environmental Trust group for just over $200,000. Whitmoyer says the property has to be officially subdivided before the sale can go through, but they expect it to be soon. Excerpt from “Freedom to Flow: Montana’s Prickly Pear Creek Sees New Life After Industrial Past” by Caitlin Styrsky. This story was originally published in the summer 2017 edition of Mountain Outlaw magazine. Prickly Pear Creek flows out of Montana’s Elkhorn Mountains and winds through the scenic countryside of the Helena Valley. Although the creek primarily passes through bucolic pastures and grasslands, a portion of the waterway washed through rehabilitated habitat at the form American Smelting and Refining Company (ASARCO) facility in East Helena. ASARCO began operating here in 1888 and for more than a century the smelter refined ore to produce lead bullion, an impure blend of lead, gold and silver. The smelting process also yielded valuable byproducts, such as copper, zinc and sulfuric acid, which were shipped to other refining facilities for further processing or sold as commodities to manufacturers. At the time, lead was used to produce goods such as batteries, ammunition, lead-based paints and leaded gasoline. Although the East Helena facility employed generations of area residents, smelter operations also threatened the safety of the community by leaching arsenic, heavy metals, and other potential drinking water contaminants into the surrounding soil and groundwater. The Environmental Protection Agency added the ASARCO facility to its National Priorities List in 1984, but the site remained operational until 2001. ASARCO declared bankruptcy in 2005 and the resulting court settlement placed the nonprofit Montana Environmental Trust Group in charge of evaluating the site’s environmental impact and cleaning up the property. This multi-year project includes the rehabilitation of a 1.25-mile stretch of Prickly Pear Creek. The environmental trust group charged with cleanup of the former East Helena smelter site proposed building a cap over the East Helena slag pile to prevent storm water from spreading contamination as its final major step in remediating the site at an open house in East Helena Wednesday. The Montana Environmental Trust Group and Environmental Protection Agency presented a draft of its final cleanup plan, called a corrective measures study. The document, which is open for public comment, incorporates remediation and protective actions completed to date with remaining work the trust proposes. The trust controls both the smelter site and Asarco-owned lands in the area. Contamination includes arsenic and selenium in soils at the site that have caused groundwater plumes and levels above safe drinking water standards. In the years since the settlement and ahead of the corrective measures study, contractors have analyzed contamination and performed “interim measures” addressing pollution. Interim measures have included capping much of the site to isolate contaminated soil, removing some soil, dropping groundwater levels to stop or slow the leeching of contaminates into the water, and rechanneling Prickly Pear Creek. On Wednesday, officials told about 40 people in East Helena that those interim measures have begun reducing concentrations and the size of plumes by largely cutting off their sources. The U.S. Environmental Protection Agency and Montana Environmental Trust Group are holding an open house Wednesday to discuss a draft report for environmental cleanup in East Helena. In 1998, a century of contamination at the East Helena lead smelter site and other facilities resulted in a multimillion dollar settlement between Asarco and EPA for violations of the Resource Conservation and Recovery Act (RCRA) and the Clean Water Act. The smelter closed in 2001, and after later declaring bankruptcy, Asarco placed about $95 million in a trust managed by the Montana Environmental Trust Group. The state of Montana is represented in the trust via the Montana Department of Environmental Quality and the Montana Department of Justice along with the EPA. The trust controls both the smelter site and Asarco-owned lands in the area. Contamination includes arsenic and selenium at the site, as well as groundwater plumes. In the years since the settlement and ahead of the corrective measures study detailing the final cleanup plan, contractors have analyzed contamination and performed “interim measures” addressing pollution. These interim measures include capping the site to stop storm water from spreading contamination. EAST HELENA – Four years ago, the site of the former ASARCO smelter in East Helena was crowded with buildings. Today, almost all of them are gone. It’s the most obvious sign of the long-term project to clean up the Superfund site, led by the U.S. Environmental Protection Agency and the Montana Environmental Trust Group, which took over the site as part of ASARCO’s bankruptcy settlement. For more than 100 years, ASARCO conducted lead and zinc smelting operations in East Helena. Soils around the smelter were contaminated with lead and other heavy metals, while chemicals like arsenic and selenium leached into the groundwater, spreading beneath East Helena in large plumes. The EPA laid out three key steps to address the contamination: placing a cap over the site, redirecting Prickly Pear Creek and removing limited amounts of contaminated soil. Work on the cap and the new channel for the creek were completed last year. Betsy Burns, the EPA’s remedial project manager for the ASARCO site, said the 60-acre cap over the smelter area is one of the largest in the U.S. It’s about three feet of clay, designed to protect people and wildlife from the materials underneath and to keep rain and snow from carrying those substances into the groundwater. “It allows moisture to infiltrate into that, and then it’s uptaken by the grasses that are planted on the top of the cap system,” Burns said. The cap system also includes a concrete drain around the outside, to carry extra runoff away from the contaminated area. Rechanneling Prickly Pear Creek was another major effort. Burns said the creek had been rerouted multiple times over the years as the smelter complex expanded. A dam had also been built, creating two small lakes that bordered contaminated soils. Crews removed the dam and lowered the creek by several feet in order to bring down the groundwater level and keep it from reaching contaminated area. They also created a more natural, meandering channel for the creek, including a floodplain along its banks. The water is also farther from the massive East Helena slag pile. Burns said the creek had begun eroding parts of the pile. While workers did remove some of the contaminated soils from the smelter site, Burns said it would have been far too impractical to remove all of them. Altogether, she said the volume of affected soil would have been equivalent to the size of the slag pile. “There are ways to manage materials without moving them,” said Burns. Burns said the EPA is now considering covering the top portion of the slag pile with a similar cap to the one placed over the smelter area. She said the material in the lower part is more solidified, so it poses less of a risk. Most of the actual construction work at the smelter site has been completed. A public hearing on the final remediation projects could happen as early as this fall or winter. But the EPA will remain in the area for years to come, monitoring contaminants. Burns said the EPA has already seen results from the work they’ve done at ASARCO. For years, they’ve been measuring arsenic and selenium concentrations in wells around the smelter area. Since 2012, Burns said those concentrations have been trending downward. This year, crews have focused on restoring the area around the smelter site. They replanted much of the property with native vegetation. “We’ve gotten some really good grassy vegetation within the floodplain, as well as different shrubs and bushes that have been planted, and you’re starting to see really good willow growth on the banks,” Burns said. Capping the site has also made it more attractive to wildlife, like birds, deer and foxes. Removing the dam has opened Prickly Pear Creek up for fish. Burns said crews will start conducting surveys on fish populations in the coming years. East Helena Mayor James Schell and members of the city council toured the smelter site earlier this year. Schell said he’s particularly excited about possible recreational opportunities there. “To turn that into something that’s good, and to turn that realignment area into public access, with walking trails and fishing access, is a great thing for the area,” he said. Schell said the cleanup has been a long process, and residents are happy to see any visible progress at the site. “We really look forward to moving forward in the next five years, to finish off with the site activities, to close this chapter in the East Helena area,” he said. Burns said the results of the cleanup so far have exceeded her expectations. Soon, she said they will be ready to show off the progress they’ve made at the smelter site to the East Helena community. “Be looking for next spring, we’d like to have some public events out here,” Burns said. East Helena Public Schools officials signed a deal Wednesday to take ownership of 50 acres of Dartman Field, according to school district superintendent Ron Whitmoyer. 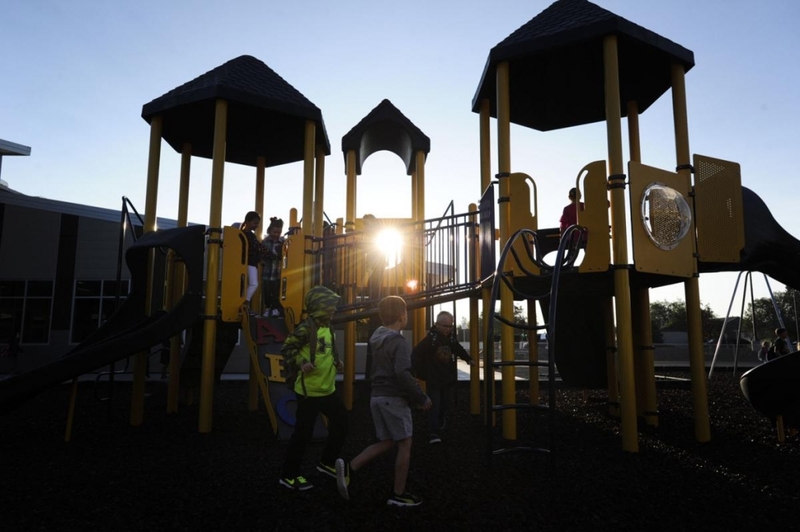 “The final cost to the district is $90,931,” he said. Current school district enrollment is around 1,200 students, and the district could reach its enrollment capacity of 1,300 in the next three years. The district has worked on acquiring the Dartman property, located just north of Radley School on Valley Drive, for close to six years. The 50 acres, which will need remediation for arsenic contamination from the old East Helena lead smelter, is a donation from the Montana Environmental Trust Group. METG has owned the field and controls assets from a settlement with Asarco, which at one time operated the smelter.